TEL AVIV, March 9, 2015 - Israelis take part in a rally on the Rabin Square in Tel Aviv, Israel, on March 7, 2015. 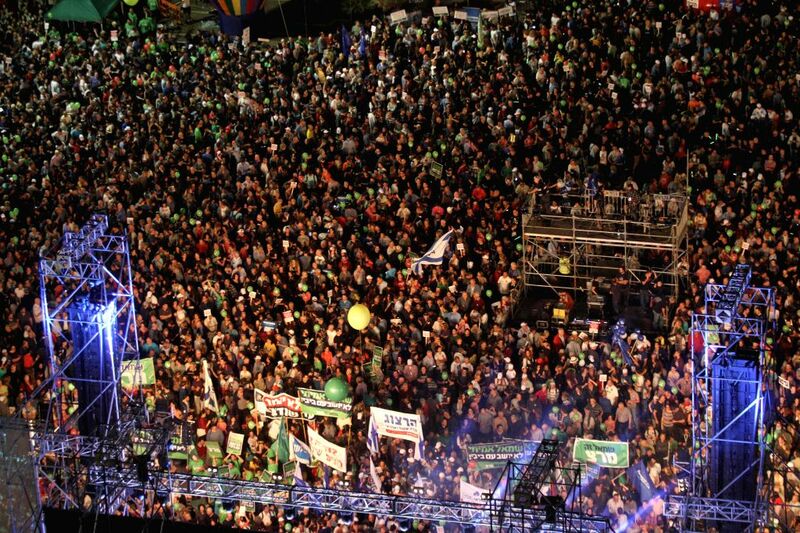 Tens of thousands of protesters rallied at a square in central Tel Aviv on March 7, calling for the replacement of incumbent Israeli Prime Minister Benjamin Netanyahu in the March 17 elections. The rally, titled "Israel wants change," was organized by a non-profit organization. 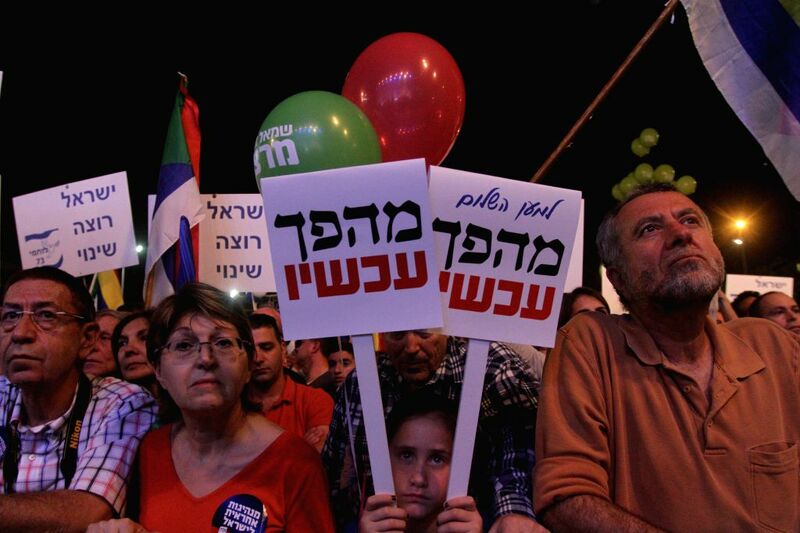 Many participants held signs supporting center-left parties including the Zionist Union and Meretz.